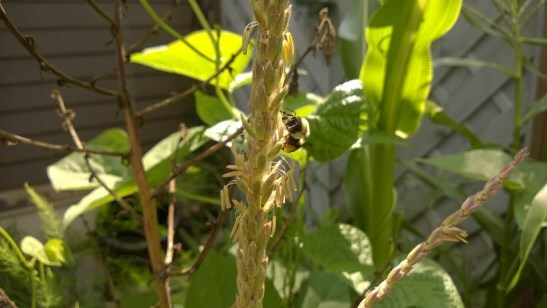 The bees have been very busy! 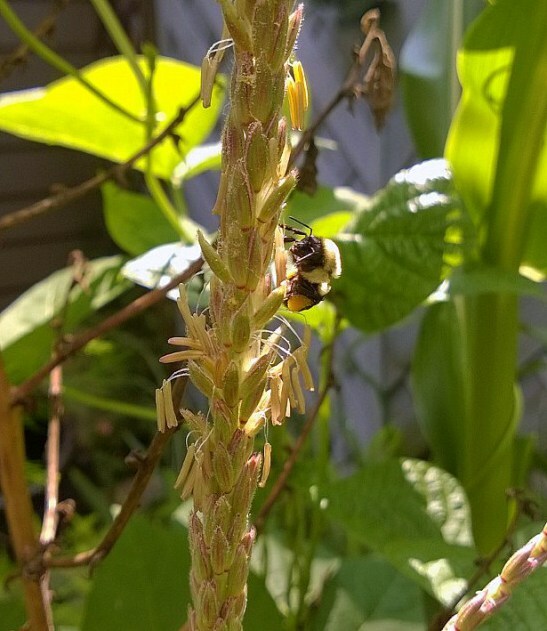 Since this is an unpaid blog – head over to Plate Fodder (our main site) and see them bees at work in full living color! 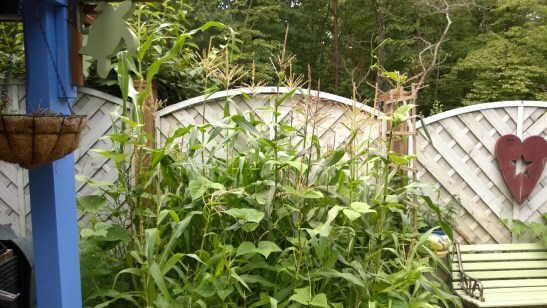 With the recent late afternoon storms and hot , hot – ninth ring of hell hot – summer afternoons, the Early Sunglow Corn has shot up like kudzu. 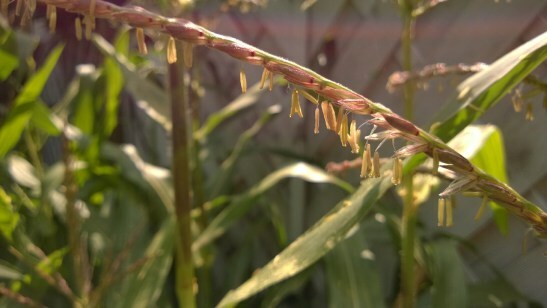 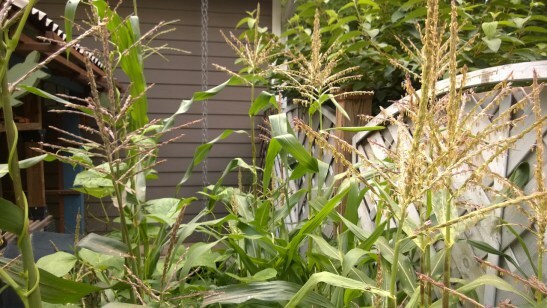 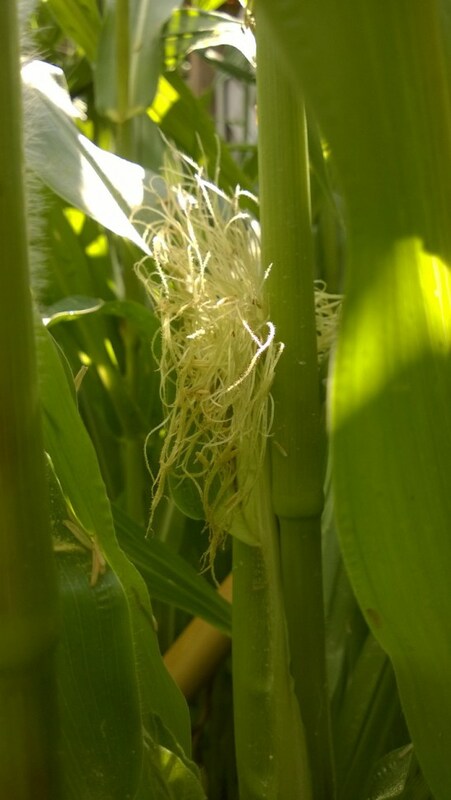 which makes ear upon ear of delicious, sweet, milky corn later this month.